The Hold Steady are about to embark on a mini tour this summer to celebrate the 10th Anniversary of Stay Positive. In anticipation of the shows the band got together this past May and recorded two brand new songs which they will be playing at the upcoming shows. They released them today and you can get them from the bands bandcamp site. You can listen to them below as well. 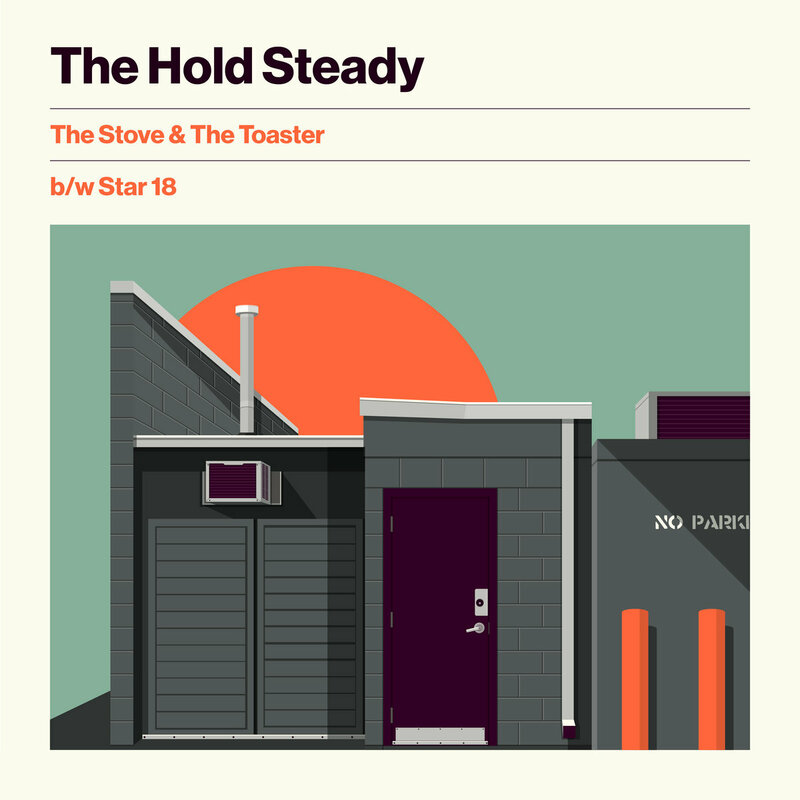 They are titled "The Stove & The Toaster" which deals with shady dealings and horn charts while "Star 18" is an upbeat bass driven cooker. For each of the bands previous mini tours they have released a few new tunes and upon first few listens these two sound like the best of the recent bunch by a lot. These were produced by Josh Kaufman and recorded by D. James Goodwin. Stuart Bogie and Dave Nelson played the horns and Annie Nero helped with some backup vox. Nick Hollomon designed the artwork. RtBE will be there to kick things off on July 25th in Jersey City.